The sole assembly facility outside of the US for the beleaguered fifth-generation F-35 fighter jet has just rolled out its first F-35B variant, in a ceremony attended by top military brass at an air base in northern Italy. Following the previous delivery of seven F-35A variants, the aircraft assembly facility at Cameri, in northern Italy, has rolled out its first F-35B, one of 30 intended for the Italian Air Force and Navy. The facility will also turn out 60 F-35As for Italy, and a reported 29 F-35As for the Royal Netherlands Air Force, according to Defense News. Following the ceremony, the new F-35B, dubbed BK-1, will take its maiden voyage in late August, and, if all goes well, will be officially delivered to the Italian Air Force sometime in November. In early 2018, BK-1 will be flown by an Italian pilot to the US for "Electromagnetic Environmental Effects certification," at the Air Station Patuxent River in Maryland, according to a statement by the plane's manufacturer, Lockheed Martin, cited by Defense News. The 101-acre Cameri assembly facility in northern Italy was named in 2014 by the US Department of Defense to be its F-35 Heavy Airframe Maintenance, Repair, Overhaul and Upgrade facility for Europe. The airbase is owned by the Italian government and operated by Italian state defense firm Leonardo, and now boasts some 800 employees. 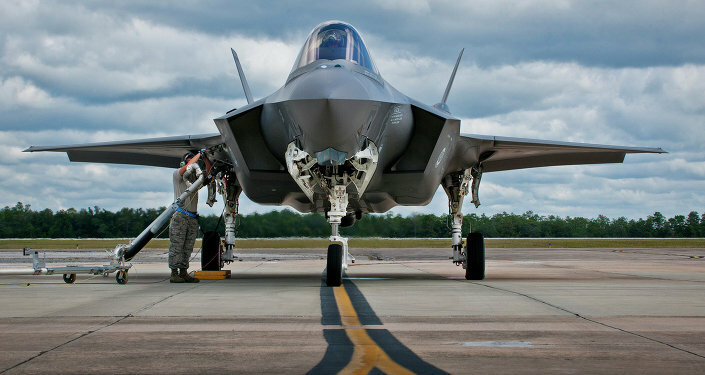 The fifth-generation F-35 Joint Strike fighter jet program, the costliest weapons system in history, is projected to require at least one and a half trillion dollars by the end of the weapon's life. Despite the no-holds-barred expense, the jet and its attendant technologies have been beset with problems, including potentially life-threatening defects in its propulsion systems, pilot protections, target acquisition tracking and air combat capability.